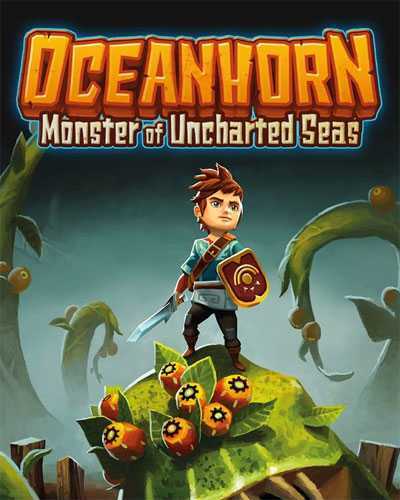 Oceanhorn Monster of Uncharted Seas is a RPG, Action and Adventure game for PC published by Cornfox & Bros in 2015. It’s the adventure time! The story is about a boy which has lost his grandfather. Actually, His grandfather has went on a journey. The only thing he has left is a notebook and his necklace. Get helps from these two items. Help this brave boy to start a dangerous adventure. Find some weapons and equipment. Sword can be one of these items. Also use a shield to defend against the creatures. Whenever you were ready for the travel, Follow the clues. First level has low difficulty level. It means that players won’t have serious problems with finishing it. After being successful at this level, Some coins will be added yo your account. Go to the store and buy new items with these coins. Because there will be more dangerous creatures on the way. So you need to fight with them with your maximum powers. But this game isn’t just adventuring or fighting with the enemies. You have to solve some puzzles to find your way. Sometimes it would be really difficult to find the main way. Compass is another item that can help players to find the roads. But it doesn’t work at all the places. Gamers can also use magical powers in fights. Remember these abilities can be found only in hidden places. So look around carefully to find them. There are more than 15 hours gameplay at Oceanhorn Monster of Uncharted Seas as the developers said. But it make take more than that if you fail at fights. 23 Comments ON " Oceanhorn Monster of Uncharted Seas "
Thanks for this. I can’t play this on my x86 mobile. Didn’t even know a PC version existed until I stumbled upon this on your site. I didnt know pc existed either. I think the game looks good, but I don’t want to support a company that tries to take almost everything about Zelda and stick it in this game. it is not working. Even i enter the Password https://www.freegamesdl.net it didn’t accept it. Please help me with the correct password to install this game. Even i try with this password https://www.freegamesdl.net it ddin’t accept it. Please help me with the correct one to install this game.